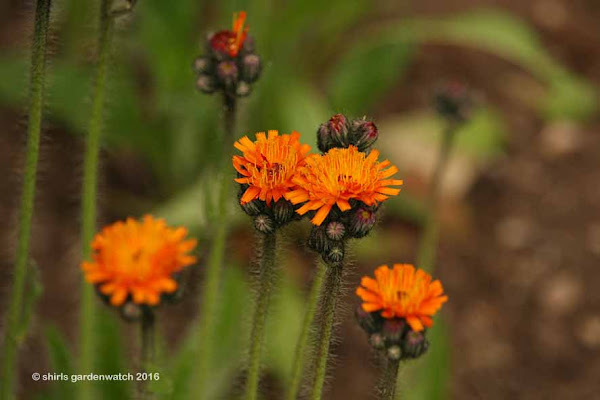 Growing along roadside verges of a busy road I travel, a small bright orange flower would always catch my eye through the summer months. A couple of years ago, curiosity as to its ID eventually had me searching it out. For anyone else curious, let me introduce you to Foxes and cubs (also known as Orange Hawkweed). It’s botanic name is Pilosella aurantiaca. Spotted in a garden centre, Foxes and Cubs is now growing in my garden. 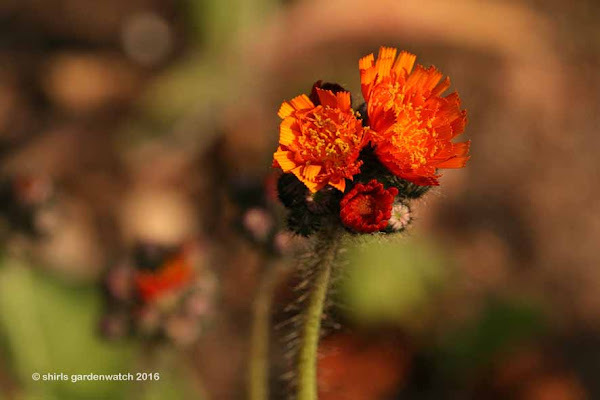 It's very textural with hairy stems and neat rosette, blue-green leaves. I love it’s burnt orange colour - I wonder what insects it will attract. It has joined the garden oranges of Heuchera 'Marmalade' and Geums. Orange is a colour I’ve really warmed to for a few years now. It was also popular at Chelsea Flower Show this year. It goes well with other colours in my garden. 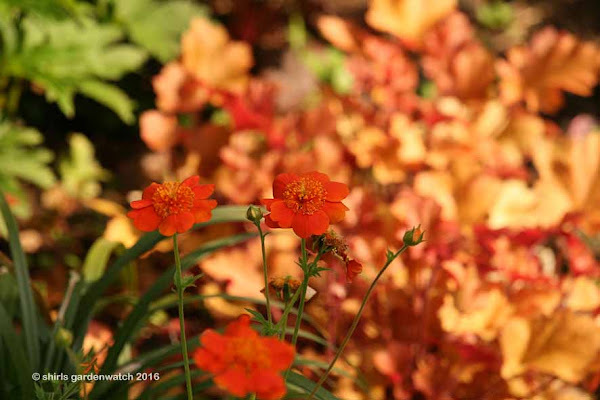 My neat, low growing geum is great for ground cover. I’ve been dividing it for years. I’ll try the same with Foxes and cubs but I’ll have to keep it in check. 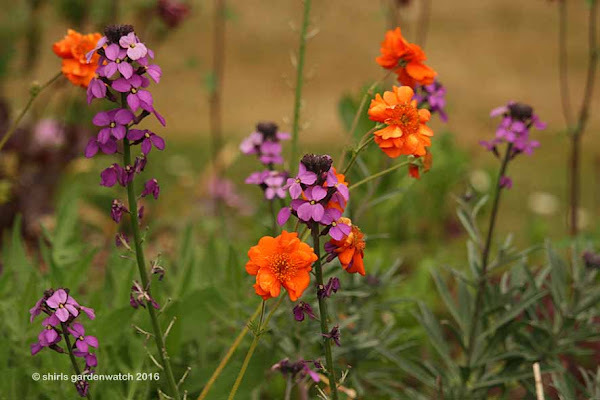 Geum ‘Totally Tangerine’ is another favourite for both me and visiting bees. It has a bigger foliage clump and taller stems. I’ve never tried dividing it. 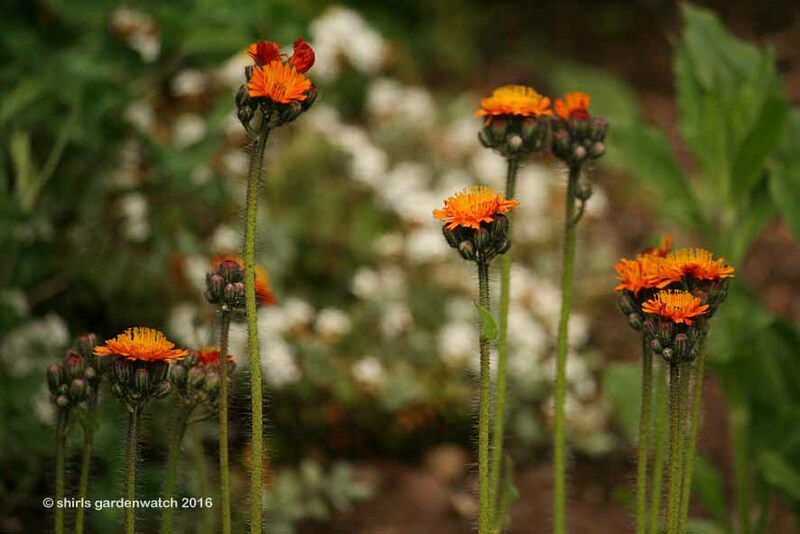 I grow orange Calendula 'Indian Prince' which I love but I have to admit I'm not keen on orange in the garden. It seems to clash with so many other colours. I have a planter that is full of orange bits. As I think about it I have 2 planters with orange in them. I like orange. 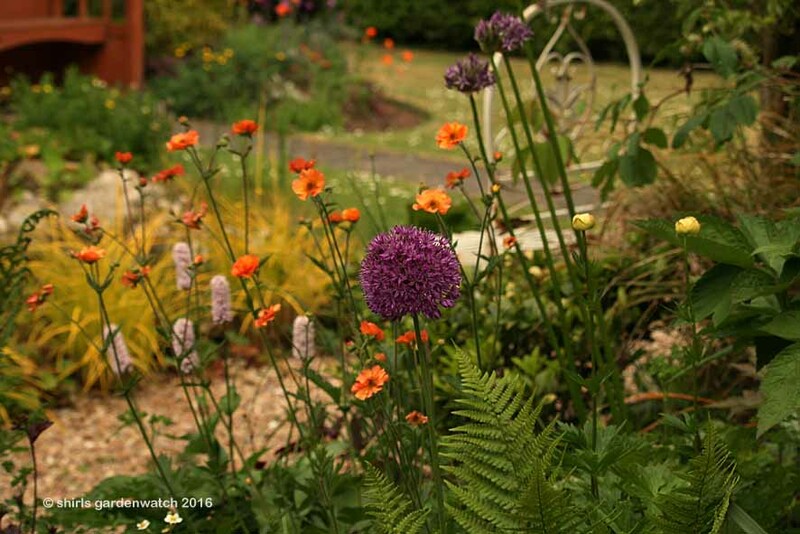 I have various shades of orange in the garden. I think of it as the new red. Of course orange is a mix of red and yellow. 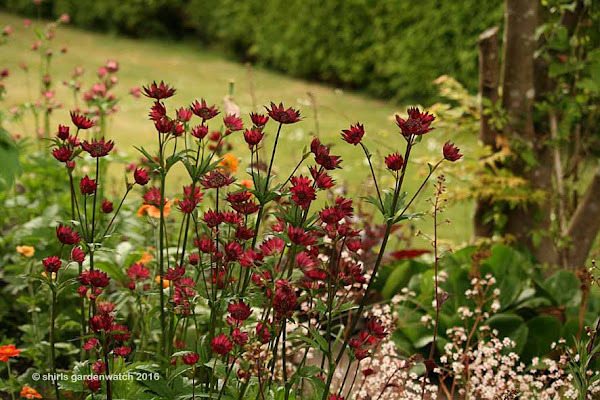 Great in the garden. Orange is popular in upholstered furniture now. This means our 30year old chairs are back in vogue. ;) I would love to have foxes and cubs in my garden. I can see why you were smitten. I love the colour combination Shirl of the orange and purple.